On the planet Soros, TONY and DOUG run from a simulant, with all the cunning and look of TARZAN. They are cornered and a fight ensues. Doug is killed, Tony kills Tarzan and flees the simulation. Above Soros, on the Interplanetary Cruise ship Delta Queen, GARY SENNET is winning big at the roulette table in the ship’s casino, with help from his brother CHRIS, who is nearby,fixing the wheel electronically. LYLA, one of the Cruise ship’s owners, is suspicious, since the table is supposed to be fixed. Cashing in their chips, the two men go to their cabin, where their older sister ANDREA berates them for endangering their mission, to prove the Cruise ship’s games are rigged. Their conversation is interrupted by Lyla. Chris and Andrea hide in the bedroom, while Lyla turns on her charms, to find out who Gary is. Meanwhile, in the ship’s control center, a mysterious ship asks to dock to do repairs. Once it docks, it explodes, crippling the Cruise ship and forcing it to land. The siblings head to the escape pods, fight off guards trying to prevent them from leaving and blast onto the planet’s surface. Having gone from one simulation to another, Tony finds himself menaced by the simulant of BILLY THE KID and security drones sent to kill him. The timely intervention of KASH, a native of the planet, keeps him from being killed. Kash takes him to a place of safety. The siblings find themselves in three different simulations. Gary is in Vietnam, Andrea in Sherlock Holmes’ London and Chris in Camelot. Chris is discovered by others of Kash’s people and taken to safety. Andrea figures out the purpose of the simulations and heads to the capital city of Trabia. Gary ends up fighting four men looking to kill Vietnamese and finding him instead. Chris, Tash and Tony discover him after the battle and take him to safety. 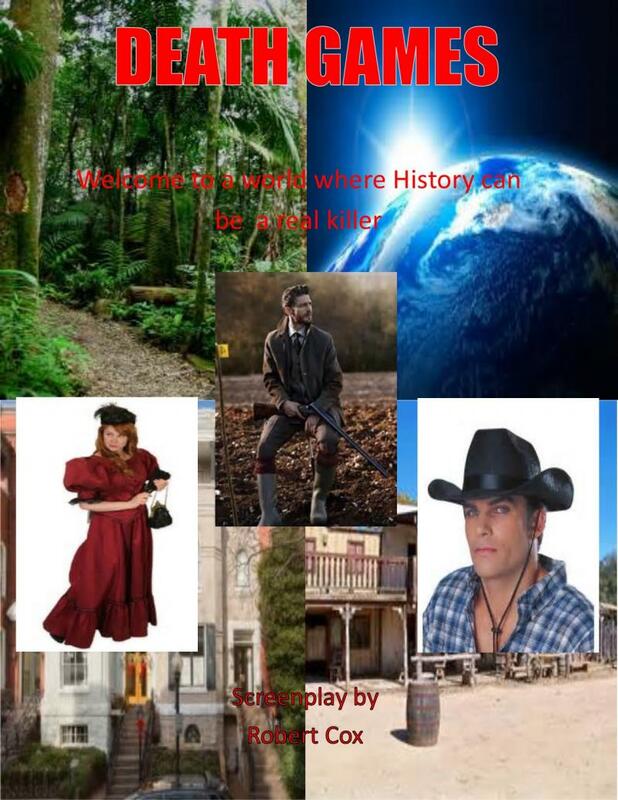 Explaining that the entire planet is an amusement park for the hunting of simulants, people whos minds are reprogrammed to be men and women from literature and history, the group decides to go after Andrea and bring her to safety. The plans go awry when the group discovers that they have been tracked once they entered the city. Gary is further surprised when he discovers that Lyla and her cousin RICHARD are behind the hunt and the sabotage of the liner, in order to bring fresh blood into the game. The four men are incarcerated, but, Andrea breaks them out. Hatching a daring plan, they move quickly to rescue the passengers, before they are changed into simulants and are placed in the hunt.